A 59‐year‐old Mexican man on immunosuppressive agents for a cadaveric renal transplant in October 2006 presented to an outside medical center for headache, weakness, and repeated falls. Over the prior month, the patient had been feeling weak and recently had become progressively disoriented, making odd statements and having both visual and auditory hallucinations. A MRI of the brain revealed a left basilar multicystic rim‐enhancing lesion approximately 2 × 2 cm in size. Cerebrospinal fluid obtained by lumbar puncture demonstrated 500 white blood cells (WBCs) with 98% polymorphonuclear cells (PMNs) and an elevated protein level. Evaluation was negative for toxoplasmosis and coccidiomycosis. Blood, urine, and stool cultures were unremarkable. The patient was begun on vancomycin, imipenem, and voriconazole and was transferred to our hospital for further evaluation and treatment. A repeat lumbar puncture revealed 42 WBCs, 43% PMNs, 34% lymphocytes, and elevated protein. Repeat imaging confirmed an enhancing multilobulated left frontal basal lesion adjacent to the corpus callosum with surrounding edema and ependymitis, indicative of lesion rupture, without mass effect. Brain biopsy was considered for diagnosis, but sputum results from the outside facility turned positive for Nocardia — believed to be strong evidence of the source of the brain lesion. He was continued on imipenem and trimethoprim/sulfamethoxazole, which resulted in gradual improvement. Figure 1. A 2‐cm multicystic, rim‐enhancing lesion. Nocardia species are ubiquitous saprophytes causing infection in humans from direct skin inoculation or as in this patient, by inhalation. Neurological infections occur in 5% to 10% of renal transplant recipients, but brain abscesses are rare. Overall, central nervous system (CNS) nocardiosis is an unusual cause of intracranial lesions, accounting for 2% of all brain abscesses. The increased infection rate is mainly attributed to the immunosuppressive therapy utilized posttransplantation. CNS nocardiosis tends to present 9 to 60 months after transplantation. Mortality from CNS nocardiosis has a rate 3 times that of other brain abscesses, so early detection is critical in improving outcome. Neuroimaging is recommended to look for CNS nocardiosis in immunocompromised patients with disseminated nocardial disease. Treatment involves systemic antimicrobial therapy, with the choice, dose, and duration of antimicrobial agent depending on the site and extent of infection, underlying host factors, Nocardia species, and clinical response to initial management. Sulfa‐containing agents are generally considered first‐line therapy. 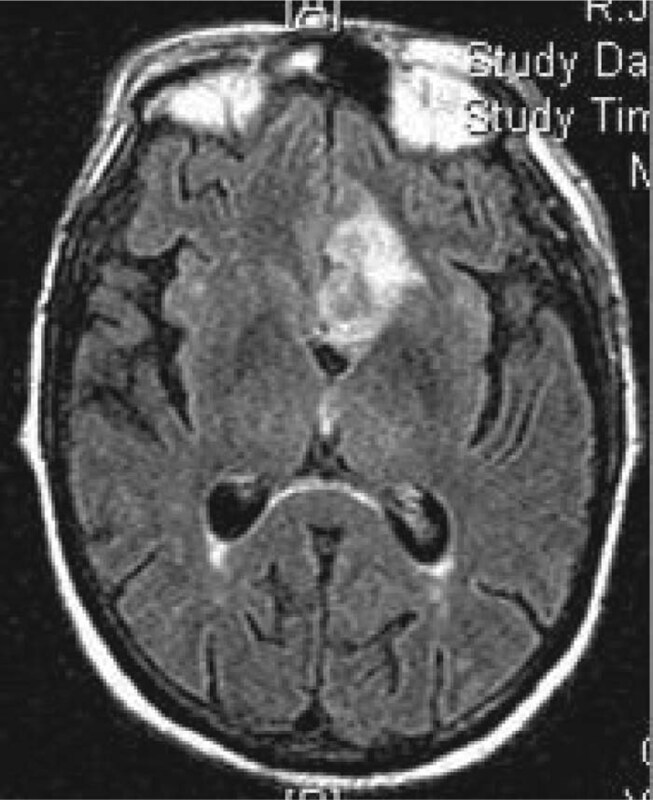 When neurological findings are observed in renal transplant recipients, nocardial brain abscess must be considered in the differential diagnosis, with recommended antibiotic treatment being sulfa‐containing agents for a duration of 6 to 12 months and frequent follow‐up imaging to monitor progress. S, Kim, none; P, Aronowitz, none. Kim S, Aronowitz P. Something to Think About: Nocardia Brain Abscess in a Renal Transplant Patient. Abstract published at Hospital Medicine 2008, April 3-5, San Diego, Calif. Abstract 155. Journal of Hospital Medicine. 2008; 3 (suppl 1). https://www.shmabstracts.com/abstract/something-to-think-about-nocardia-brain-abscess-in-a-renal-transplant-patient/. Accessed April 22, 2019.